Gorgeous Antique French Gilt Bronze Jewelry Box with a hand painted portrait miniature on the lid. 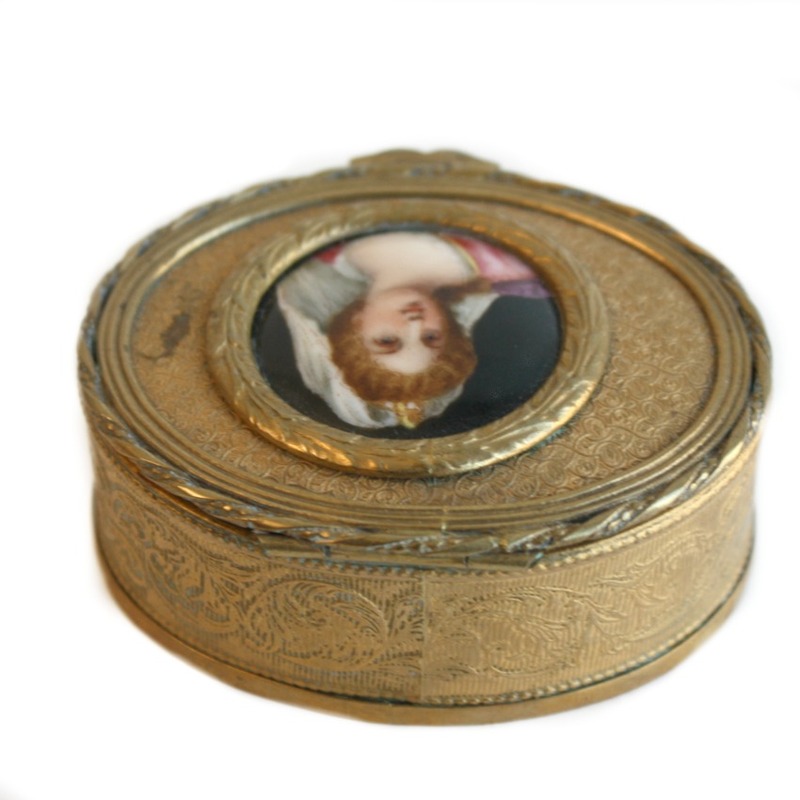 This Napoleon III gilded ormolu casket, a lovely decorative box, has a Limoges enamel portrait on the top and exceptional visual & decorative appeal! 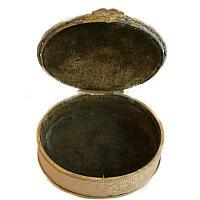 The top and sides are beautifully cast and tooled in gilt bronze. The delicate scroll work and ribbon border decorations are exceptional, the lid encloses the finely painted miniature of a young lady wearing a pink gown with lace collar, and a veil and crown tiara in her curled hair. 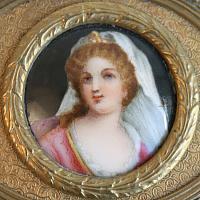 The kiln-fired portrait is encircled by a laurel leaf border. The interior is lined with the original velvet, ready to store your precious items. 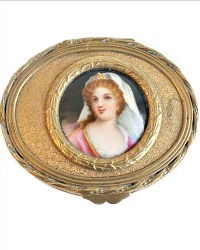 It is a lovely piece which is functional as well as being highly decorative. The enamel is beautiful, the interior fabric shows minor signs of wear commensurate with age and use, please see photos for confirmation. 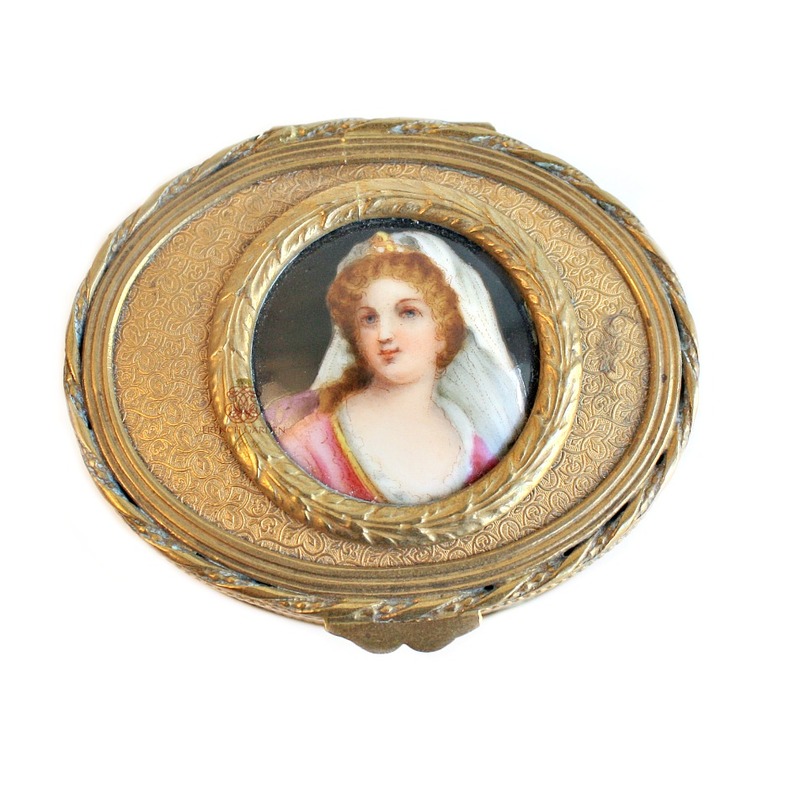 A treasure for your collection of French objet d'art and vanity boxes. Measures 3" x 2-1/4" x 1-1/8"h.